Chronically ill Jazi Allen has been told that she cannot be prescribed cannabis medicine because she “does not fit the criteria”, despite the fact that she is routinely hospitalised and has experienced relief from pain, sickness and opioid dependency by smoking cannabis. 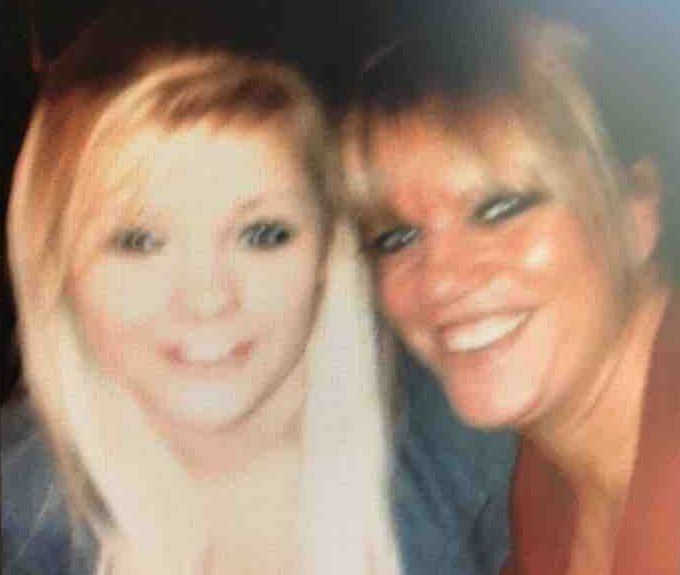 Her mum Carol admits she was anti-cannabis until it helped her daughter, who has gone through a heartbreaking ordeal following a fateful prank at school when she was 16. Jasmine’s story serves as a reminder of the dangers of pharmaceutical drugs and as testimony to the life-saving qualities of cannabis. “I have to break the law to give her a bit of a life back every day and I will continue to do so as it’s the only way I can get her out of her bedroom and back into the world,” Carol told UKCSC. Carol, from Fleet, has been forced to raise funds for Jasmine, known to friends and family as Jazi, to cover the astronomical costs of treatment that should be free, spending £30,000 on credit cards – and that was as of last June. Jazi’s brother also quit work to help look after her. On her GoFundMe page, Carol explains that last June Jazi had to be fed Fortisip drinks through a PICC line and given expensive high doses of painkillers through the gum before undergoing surgery. Now 22, Jasmine suffered a dislocated knee after a boy at school tried to knock her off balance as a prank. Repeated dislocations and an operation at 18 were only the start of Jazi’s trials and tribulations after she had a reaction to codeine painkillers which caused untrollable vomiting for three weeks, and in turn a hiatus hernia and acid reflux. Her gallbladder stopped working and had to be removed. More complications followed as her liver started to release acid and bile into her stomach. Jazi spent most of 2016 and 2017 in hospital on morphine medication PCA (Patient Controlled Analgesia). She was given a lynx implant to stop the acid production that would make her sick, but scar tissue clamped the implant shut and stuck her liver to her stomach. She couldn’t breathe or eat or drink, yet scandalously she was told at first at A&E that she was an addict and that it was all in her head. Thankfully one doctor believed her and removed the implant. “But she isn’t ever going to be fixed and pain free,” says Carol. “Ironically I was so against cannabis,” Carol told UKCSC. “Then some young people gave it to her when I was stuck in traffic and couldn’t get home fast enough. I’d heard her screaming while my son was on the phone to me, so I knew we were going to be going to A&E again when I got home. “When I walked in she was sat in the garden with them smiling and breathing OK. They told me I wasn’t going to be happy but that they had given her one cannabis joint and it stopped it from escalating. “I couldn’t believe it but we tested a few scenarios. 90% of the time it helps her. If she has a really bad episode with blood in her vomit I have to take her to A&E, or a hospital in Wimbledon where the team understands her illness better and they have to put her on IV anti-sick and IV anti-acid medication until it stops. These ones can take up to two weeks to get under control. “But Jaz got herself off Fentanyl, which is awful stuff, and only managed to do so with the cannabis. She literally went cold turkey off the Fentanyl as it was so horrible, consultants were amazed how she managed it. I told them the truth and they were happy about it. “They want her to be prescribed medical marijuana but she doesn’t fit the criteria, much like everyone else sadly. So they have told me to keep doing what we are doing and next get her off the Oramorph as smoking cannabis a few times a day is far safer for her than the levels of opiates she was on and is on still. “It’s a terrible battle and no one should have to go through this game with the powers that be, it’s wrong to play roulette with people in pain when there are alternative options available. “Jaz will never be OK now but has a chance of a few days with less pain if we use cannabis medication. The issue is it’s expensive and we are in debt because of everything that’s happening to Jaz. We’re trying to get answers and help. “Our local A&E doesn’t understand her illness so she is often treated terribly there, depending on who is on duty. Some have been vile to her which is why we end up so far away from home in London or Essex where the specialist consultants are that know her and understand. Jazi had to be readmitted to St George’s hospital this week and is likely to have a scan on Monday to check her bile ducts for blockages. The costs of treatment are ongoing and the need for the NHS to prescribe cannabis medicine is urgent. UKCSC members wish Jazi and Carol all the best. Please give to their GoFundMe page if you can and share it on social media.